Kate's background is in art practice and art history. Recently she has interwoven her practical and academic interests with the discipline of Design. Current research interests involve transdisciplinary research into digital transformations and fragmented heritage using sculpture and contributing to innovations in archaeology, engineering and new media. She is currently working on an art project in association with archaeologists at Bradford University on the AHRC funded Digital Transformations: 'Fragmented Heritage' project. 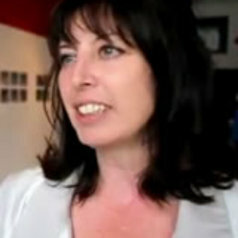 She currently teaches modules 'Design in Context','Blue Sky Brief' and 'Design Communication'. She is also a tutor in Studio project work for first, second and final year undergraduates.